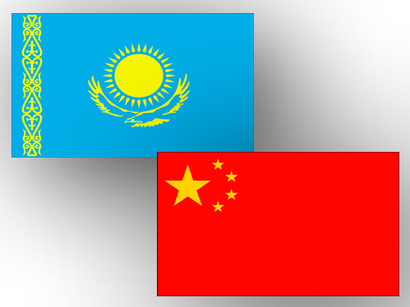 Today, the implementation of Kazakh-Chinese projects for a total of more than $ 27 billion is in the active phase, said Kazakh Minister for Investment and Development Zhenis Kassymbek, speaking at the Kazakh-Chinese business forum in Astana Kazinform reported. “The implementation of joint Kazakh-Chinese projects in the framework of cooperation in the field of industrialization and investment, which includes 51 projects for a total of more than $ 27 billion, is in the active phase. We plan to create about 20,000 new permanent jobs due to these projects,” he said. The minister also added that there are already successfully implemented projects. “For example, in 2017, the world's largest logistics company KOSKO SHIPPING bought a 49 percent share of the Dry Port in the Khorgos East Gate FEZ for the development of the transit potential of Kazakhstan, a project for the production of JAK cars in Kostanay region was implemented, manufacture of powder polypropylene in the Pavlodar region, as well as production of rapeseed oil in the North-Kazakhstan region was established,” Kassymbek said. According to the data, a number of large infrastructure projects have already been commissioned in five years: the port of Lianyungang, the dry port of Khorgos on the border with China, the Aktau port on the Caspian Sea, new railway corridor “Kazakhstan - Turkmenistan - Iran” totaling about 900 km, connecting the countries of Central Asia with the Persian Gulf and the Bandar Abbas port in the south of Iran, international transit corridor "Western Europe - Western China", part of which passes through the territory of Kazakhstan. “The measures taken allowed delivering goods from China via Kazakhstan to Europe in about 15 days, while shipping by sea takes 2-2.5 times more,” the official said. There are a number of promising areas, work on which can enhance mutually beneficial cooperation between our countries, according to Kassymbek. “First, Kazakhstan constantly works to improve the investment climate and protect the rights of investors. We are a member of the WTO and an associated member of the OECD Investment Committee. Our country has joined the Declaration on International Investment. In the World Bank's rating “Doing business” we occupy the 36th place. There is a Foreign Investors Council under the President of Kazakhstan, where Chinese company CNPC plays an active role, which is an important strategic partner of Kazakhstan in the development of the oil and gas market,” he said. In Kazakhstan, as the minister noted, there are 11 special economic zones and 24 industrial zones with different industry orientation and different preferences. The national company for investments, Kazakh Invest, has been established, which acts as a "single negotiator" on behalf of the government with target TNCs and large investors. Kazakh Invest has a network of foreign representatives and regional branches. “Second, today we pay special attention to the production of food products and provide state support for producers and processors of agricultural products. In this regard, Kazakh agricultural companies and Chinese companies in the production of food products have great potential for increasing cooperation,” added Kassymbek.